The objective of a persuasive essay is to induce the reader to consent your endorsement for the course of action or accept your point of view. You may have encountered this question at one time, how to write a persuasive essay? When writing a successful persuasive essay, it is a requirement that you use evidence to back up your point of view. It is also necessary to contemplate on the opposing views and complement with a strong. In essence, writing a persuasive essay requires doing proper research on the subject matter or your viewpoint. So, how do you write a persuasive essay that would stand out? Below is a detailed step-by-step guide to writing a successful essay. It is widely accepted that an introduction is the most vital part of any essay. It is the first point of interaction with your reader; hence, it is imperative that the introduction to your persuasive essay should be attention grabbing. You need to provide a short and to the point thesis or focus statement. This involves the use of precise declarative sentence that clearly points out your stance regarding the subject matter. You should begin your persuasive essay by providing intriguing information; this is precisely aimed at capturing the reader’s attention. It is imperative to look for solid and convincing proof, as every persuasive essay is dependent on evidence. Consider acquiring a variety of sources for facts, quotations and statistics in order to help you build a strong case for argument. These are powerful means to convince your readers to adopt your arguments. However, you are warned not to confuse truths with facts; the truth is an idea that is widely accepted, but cannot been proven. You must also take precaution that the evidence comes from credible sources, otherwise, your claims will be considered baseless. The way in which you present these proofs should be logical and well organized to appeal to the readers. It follows then that you anticipate the perceptions that the reader has about the subject under reference. You need to provide strong criticism of the opposing views. It acts as an appreciating part of your opposing arguments and acts as a basis of the concession. Depending on the available evidence, you can either rebut or concede to the opposition. If you have enough evidence indicating the opposing argument is weak, then you can adopt the rebuttal stance. On the other hand, if the opposing argument has irrefutable point you might need to concede this argument. This usually happens in economics whereby concession is simple, but you can still argue in favour of your proposals by showing the viability of your policy when benefits outweigh the costs. Essentially, you should show the reader a precise reason as to why your position is better and that the opposing view does not hold. Your persuasive essay should provide a strong conclusion in a precise and memorable way based on all evidence and explanation. You are required to give a restatement of focus statement as well as a summary of important points. You should take caution while writing a conclusion, as it should not be a restatement of your position but a reiteration of your position. You can give the implication of dismissal of your argument or failure to adopt your point of view. You can ask a rhetoric question to leave the reader with something to think about. It is also advisable to end with recommendation or call for action regarding the subject matter. It is also advisable to conclude your persuasive essay with recommendation or call for action regarding the subject matter. It is advisable to recheck grammatical issues and inconsistencies that you may have earlier overlooked. You can also ask someone to read your write up to see if they can comprehend or get the flow of your argument. 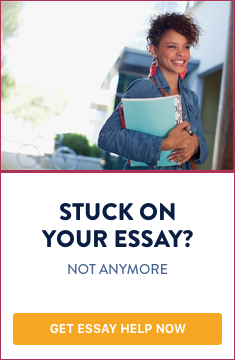 Get their opinion on the essay as well as suggestions for improvements. The second eye will help you get the perspective of the possible reaction from your intended readers. This allows you to deliver comprehensive and error-free piece of work. Finally, a persuasive essay should have your strong viewpoints that are logically arranged and supported with the appropriate evidence. If you need help with writing your persuasive essay feel to contact below.